Home » ecommerce » eCommerce Benefits » eCommerce Technology » eCommerce Technology Trends » eCommerce Types » eCommerce Uses » What Are the Latest eCommerce Technology Trends? What Are the Latest eCommerce Technology Trends? As the backbone of eCommerce, technology leads and eCommerce follows. When a new technology trend comes along, you can bet it’s going to create ripples that will, without a doubt, touch eCommerce. After all, what is eCommerce but commerce with more of a technological component, marked by the ‘e’ that precedes it? For example, when the world went mobile, all types of eCommerce, from fashion to technology, were quick to follow suit. When vendors noticed their sites were being accessed by more and more mobile users, those who didn’t react by optimizing their website for on-the-go users faced lower rankings, higher bounce rates, and fewer conversions. When you pair this knowledge with the fact that global eCommerce sales grew by 24.8% in 2017, and that they’re expected to reach $4.5 trillion by 2021, up from $1.3 trillion in 2014, it’s clear that ignoring technology trends is a huge missed opportunity that can prove to be disastrous in the long-run. Instead, what you want to do is keep an eye and an ear open for any technology trends that are likely to turn into eCommerce technology trends. Case in point, the following three trends that all have a place in the most successful eCommerce business’ strategies. Artificial intelligence (AI) is not just a technology trend, but a dominant technology trend that’s permeating more industries and breaking more barriers than any before it, or, as it seems likely, after it. Specific to our discussion today, AI and machine learning are leading to intelligent algorithms that are vital for segmentation and personalization, two uses of eCommerce that help vendors identify their users’ preferences, and use them to recommend products that are likely to lead to conversions. That is to say, instead of treating each user as part of a group, AI allows for them to be treated as an individual target segment, which allows for a much greater degree of personalization in what they see. Along the same lines as personalization, AI is also impacting many eCommerce merchandising strategies, which revolve around how to present and display products and services in your online store. For example, with AI, you can present only those products that are likely to be purchased, such as those based off of your users’ browsing and purchasing behaviors. 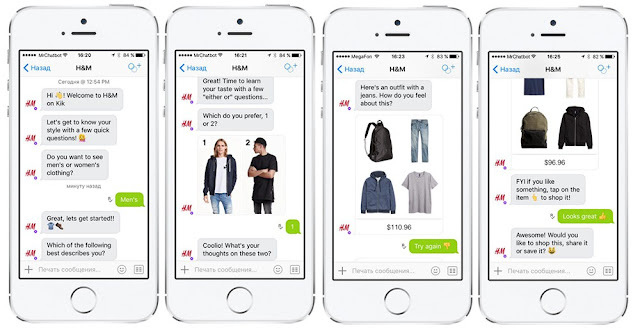 Exemplifying just how far AI’s reach is, another of its recent impacts on eCommerce is conversational commerce. On the former, a chatbot can function as a 24/7 customer service rep who’s always there for your users, ready to answer any queries or point them in the right direction. On the latter, a chatbot on a given landing page can take your users through the whole customer journey from a single chat window. ● Bot: Hello! Is there anything I can help you with today? Are you looking for something specific? ● Bot: I can definitely help you find a small jacket to your liking. Are you looking for something specific, or do you already have something in mind? ● User: can you give me suggestions? ● Bot: Of course! Would you prefer something athletic, casual, formal, or something else? ● Bot: Excellent. What about style? Do you like any of the following options: anorak, biker jacket, bomber jacket, parka, raglan sleeve, stand-up collar? ● Bot: What about special features like breathable, quick dry, reflective details, water resistant or wind resistant? ● Bot: No problem. Do you have a price range? ● Bot: What about a color preference? ● Bot: We’re almost there! What do you think of these? 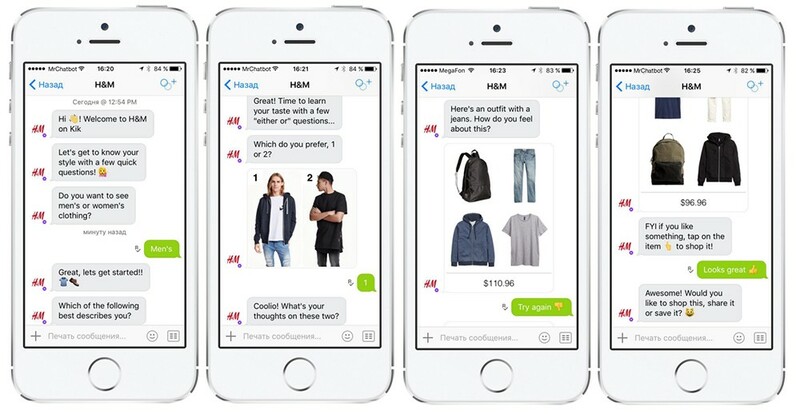 Here, the chatbot would suggest a couple of products, and depending on whether the user likes one of them, would either question the further to narrow on something else, or proceed to checkout by asking for their shipping and payment information. 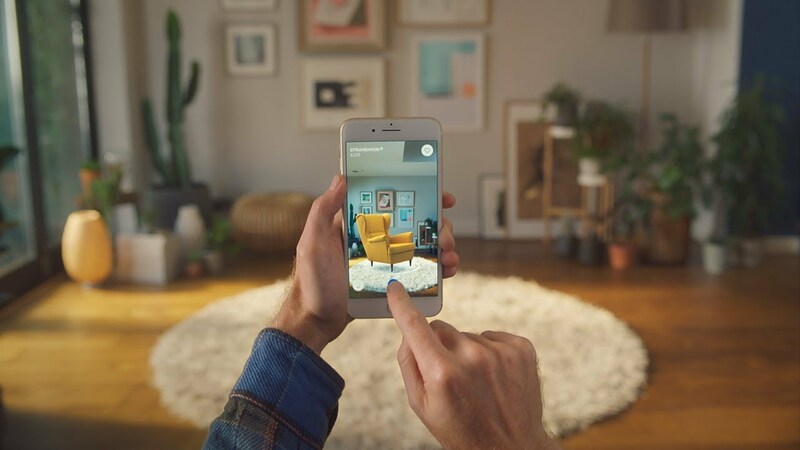 One of the many benefits of eCommerce is the fact that it has such a large technological component, which leads to the third and final eCommerce technology trend we’re covering today: product visualization facilitated by virtual and augmented reality. Before that, let’s do a quick overview of what these two technologies are. While virtual reality (VR) places you in an imaginary world populated by digital elements, augmented reality (AR) superimposes those digital elements on the real world, in an amalgamation that makes the most of each. Knowing that it’s clear to see how eCommerce benefits from these two technologies. After all, before them, product visualization was limited to 2D and maybe 3D images that could be slightly manipulated to see more of the product you’re looking at. Additionally, lack of tactile information one of the biggest eCommerce drawbacks; you can only see the items on a screen, and neither touch them nor imagine how they would look like in your home. Well, with VR apps like Buy+ from Alibaba, which allows users to select apparel and accessories with the help of a 360° panoramic view and assistance from a robotic shopping assistant, and AR apps like IKEA Place, which lets you virtually ‘place’ IKEA products in your space, those drawbacks are all but eliminated. Because of what eCommerce inherently is, i.e. 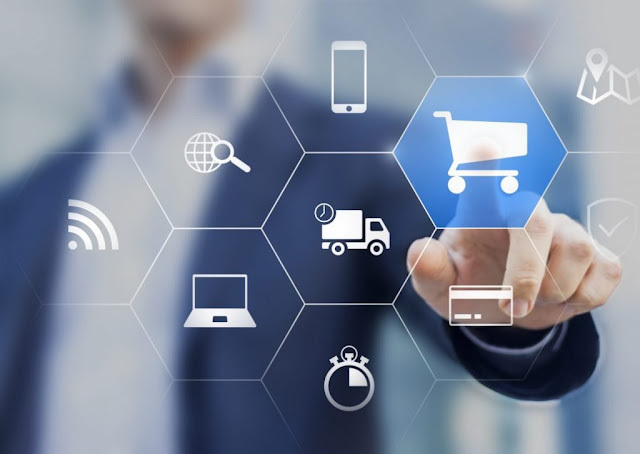 electronic commerce enabled by technology, technology, and eCommerce trends are often linked — when a new technology trend comes along, you can bet an eCommerce trend is on its way as well. Best of luck preparing for these and upcoming eCommerce technology trends!